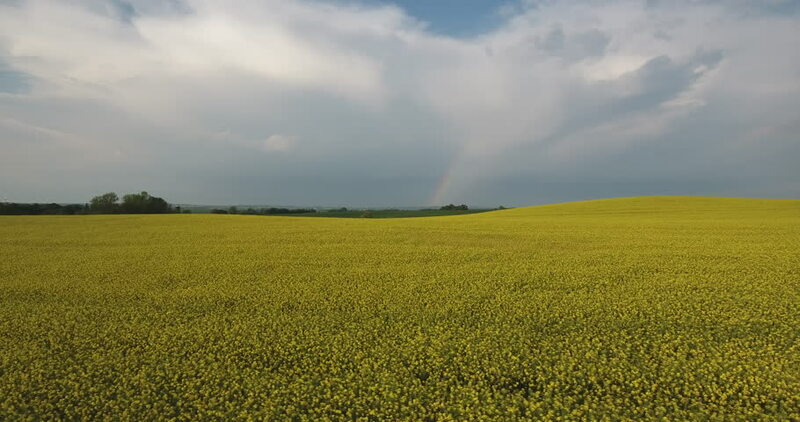 Aerial view flying left to right over rapeseed field with storm and rainbow in distance in Skane, Sweden. hd00:09Alarming view of the vivid lawn and dark ominous clouds. Dramatic and mystery scene. Wonderful natural background. Beauty world. Climate change. Time lapse clip, interval shooting in HD 1080 video. hd00:11Time lapse of wheat field and storm clouds.